Thomas Pick born 6 Nov 1846 in Barkby Thorpe married Harriett Toone born 9 Feb 1849 Thurmaston, at Thurmaston on 6 May 1868. They had 15 children, all born in Hoby except William, their first born, 29 November 1868 in Ibstock. He was the head master of Hoby School and it is believed that one of his daughters also taught. He was enumerator for the 1901 of the village, maybe the one before also. Lucy Rebecca Pick born 30 Apr 1874 married Alfred Fox of Thurmaston b. 1st qtr 1874 marr. 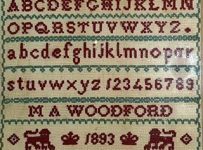 qtr 3 1895, they had a son Arthur Howard Fox born qtr 1 1896 Thurmaston. Alfred Fox died qtr 1 1897 at Hoby. I don’t think Lucy married again ( not sure). Arthur Howard lived with his grandmother Harriett in 1911 as a Drapers apprentice. He joined the “victorious Queens Rifles’ at the outbreak of ww1, He was medically discharged with heart complaint 1915 his next of kin was his mother , address Highfield House, Hoby. (Service records online). Martha Pick b. 6 Dec 1876 married Robert William Henry Rampling b Apr 1879 Islington, Qtr 1 1911 at Hoby, Robert was the chauffeur to Admiral Lord Beatty from Brooksby, During the war Robert Rampling sailed a brigatine with Joseph Conrad and in mentioned several times in the book “At Sea with Joseph Conrad” by Sutherland. After the war he and Marthya had a pub in Gorleston, Great Yarmouth from 1919 to his death 3 Nov 1931, as an aside Harriet Pick died at Gorleston 5 jan 1928. Martha died 10 Apr 1959 at Yarmouth. My Grandmother Ethel Pick b. 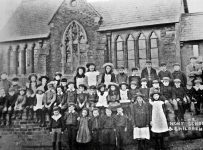 4 Jan 1879 was a milliner in Leicester where she met my Grand Father John Henry Roberts they had 5 children one born leicester 1905 there 2nd was born in Hoby 8 Jan 1908 they moved to Cardiff in 1911, John Henry Roberts joined the “Royal Garrinson Artillery” for the duration of the war and left as a Staff Sergeant. 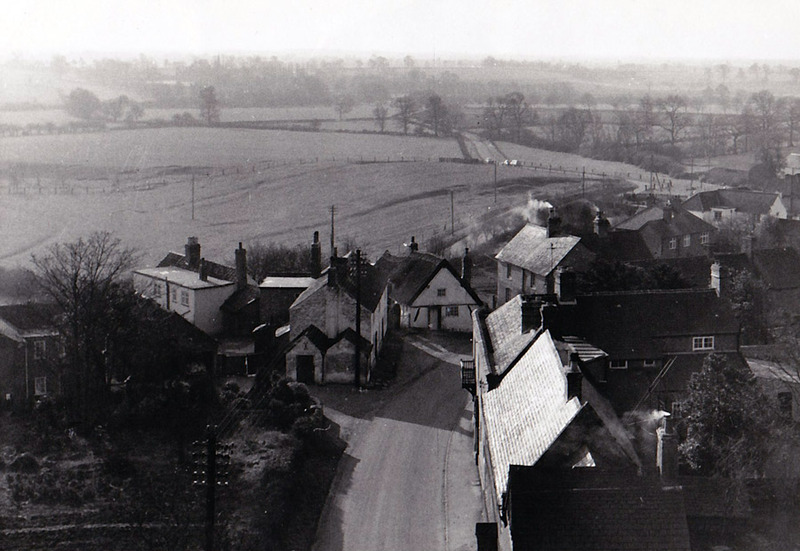 The village was in Leicestershire, a mere handful of houses huddled together on the brow of the hill. A church spire lifted itself high above the houses and the trees, below the Wreake ran slowly through the fair meadows and the sleek cattle stood knee deep in the luscious pasture. Like the Old City of God, it was “beautiful for situation”. June was at its best, all bird life was at its busiest, and flooded hill and dale with its mellow music. The valley was throbbing with joyous life, life at its best; it seemed brimming over with life. There was only one place cast a shadow. Near the old church was a grave, and a darkened silent house. The village schoolmaster was dead, dead amid all the life around. He had gone from that quiet paradise to the rush and crush of London, and amid its babel of noise, he died. I saw his home, the roses he had planted were racing up the front, peeping in the very bedroom windows making a charming picture in crimson, yellow and green. And there was his garden, bearing masks of his skill; he had sown, he had planted, but alas, another must reap. I saw the sad procession start from the house; there was no simulated grief there. The widow had found out ere this that “Out of this world of dross, death had taken her piece of gold”. The children, mostly grown up, were conscious now that the old home to which their hearts had turned in the stress and sorrow of their lives, could never be the same place again to them. The distance to walk was only a matter of yards. No sound broke the stillness, but the solemn note of the bell in the Tower. Outside the gate, his schoolchildren stood very quiet today, very reverent, looking wistfully at the passing mourners, the poorest of them with some little mask of mourning, and all of them carrying some simple old world garden flower in their hands. A touching picture which made ones eyes grow misty. The service in the church was such as the reader has seen in many a country village church. The Rector slowly reading out the opening sentence of comfort and hope. Then the old psalm with its picture of life and death, then the sublime arguments of St Paul, surely the last word ever needed to assure us of our immortality and Christ’s final triumph over death, then a single hymn from the old hymnal, sung as men sing when their hearts are full and their voices thick and hoarse. I listened for the voices of the children, but they were nearly all dumb today, and every eye was on the flower covered coffin. How many times had he seen a scene like this? Did he see this? Who dare say he does not? More than once he brought his own dead here. The last of him? Nay, Nay! my good woman, not the last of him. 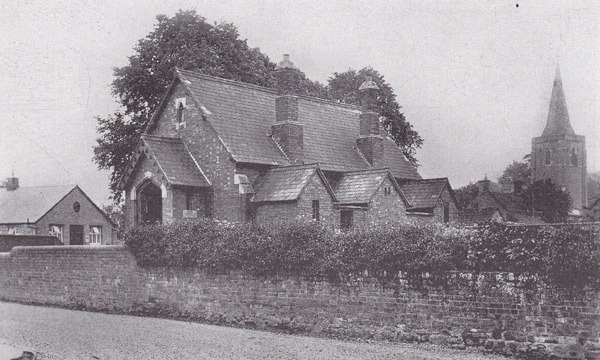 Look over those holly bushes; there is a red brick building that is the old schoolroom. There, many a homely lesson he gave, and many a man and woman will thank God for the words are keeping many a man straight, many a woman pure in the Word today. “The last of him?” No my good woman. Is the farmer’s work done when he has cast his seed in the ground? The Schoolmaster’s work is still going on. The announcement on Saturday afternoon of the sad death of Mr Thomas Pick, the schoolmaster here – in London – evoked an intense feeling of regret and of personal loss, combined with the utmost sympathy for the bereaved wife and family. Deceased, who was in his 64th year had proceeded on the Saturday before Whitsuntide to spend his holidays at the residence of one of his married daughters, Mrs Warlsey, in London. On the following day, Sunday, he was seized with the illness from which he never recovered, the end coming on Saturday last. A severe attack of gastritis developed into a complication of ailments: ….. supervened, and finally in spite of the best medical attention and advice, the heart gave way under the strain. Mr Pick’s good record of entry upon scholastic duties in Hoby dated from October 31st 1871. With a space of about 11 months in between, he had …… been master here for two years. He was a native of Barkby and was one of the slowly decreasing group of Canon Fry’s men. He sat for his certificate at Peterborough Training College, and was locally known as a zealous and very successful teacher, many of his old scholars attaining positions of considerable importance. A strict disciplinarian, he was one of the kindest toward his pupils (who) seemed literally to love him. Nor were his activities confined to school. In public life he filled the office of churchwarden, was for many years assistant …. and tax collector for Hoby, Ragdale, Rothersby and Rooksby, positions which he held with integrity and ability. Of late years he had acted with great acceptance to ………. as agent for the Hoby Polling District. In his earlier days he was known as a good all-round cricketer and (became) an excellent umpire. Under his organisation the village posessed an almost invincible team. Unfortunately he was at times a martyr to rheumatic pain, a complaint which greatly curbed his sporting activities, but he turned his mind to …….. a sport at which he was a great pro-….. He was a well set up man of fine and gentle manly disposition. He was greatly looked up to by his neighbours, who seemed naturally to turn to him whenever they were in want of a confidential advisor, and it is pretty safe to say that few men would be more greatly loved throughout the whole of his district. He was enclosed in a handsome polished elm coffin with brass mountings, and was brought from London on Tuesday evening. NOTE: The missing words are unreadable in the copy I have, and a few have been inserted in italics to enhance understanding. The reference to “two years” as teaching service omits a preceeding number – I suspect from the parish register of births that it was thirty two. Much of this information came from the Pick Family tree.